ISS, EVA Spacewalk, Space suit tech, Mars orbit, Mars Manned mission, Mars Space suit and ground Vehicle Mars habitat, Mars and ISS HD/UHD video and cameras, Mars life science systems news. Especially the Mars manned mission and the life science systems, and Mars orbit EVA suit and Mars surface suit/s updates. Expedition 48 Commander Jeff Williams and flight engineer Kate Rubins head out on another spacewalk today (Sept. 1, 2016) to retract a thermal control radiator and install a new camera. Last week, the team installed the first of two International Docking Adapters, as pictured here. NASA’s “Mars Explorers Wanted” poster series celebrates the agency’s latest effort to prepare for a journey to Mars. 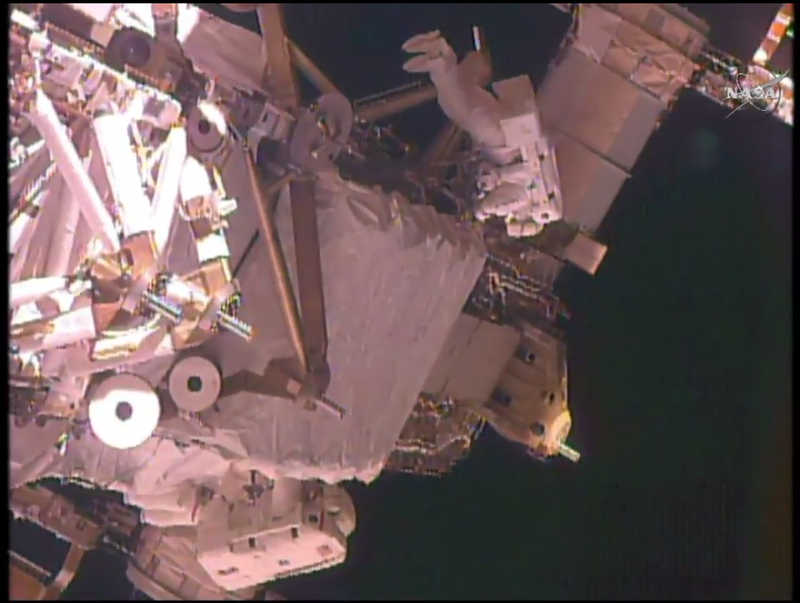 NASA astronauts took a spacewalk outside the International Space Station today (Sept. 1), successfully retracting a thermal control radiator that was no longer in use and installing two high-definition cameras. The team worked well ahead of schedule and was able to complete two additional tasks, too. With current rocket technology, a one-way trip to Mars takes six to nine months. That's a long time to keep astronauts alive, healthy and happy! A way to ease this journey — lowering astronauts' body temperatures by about 9 degrees Fahrenheit (5 degrees Celsius). This would induce a "hypothermic stasis" that cuts crewmembers' metabolic rates by 50 to 70 percent. That reduces the need for consumables in both nutrition and hydration, [and] oxygen demand," he said during the NIAC talk. 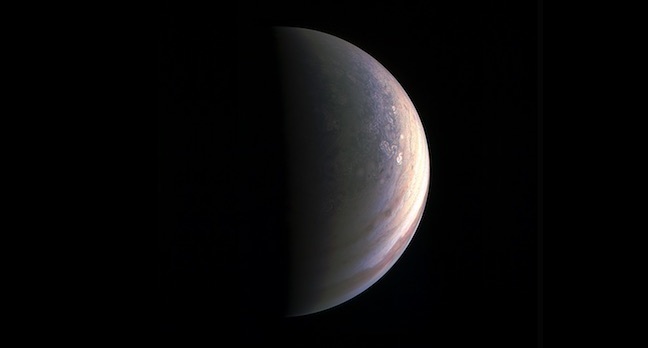 "That translates to mass, and mass is a critical item trying to support these Mars missions. Artist's illustration of a "Mars Transfer Habitat" that could carry 100 colonists — 96 of them in a hibernation-like torpor state — to Mars. 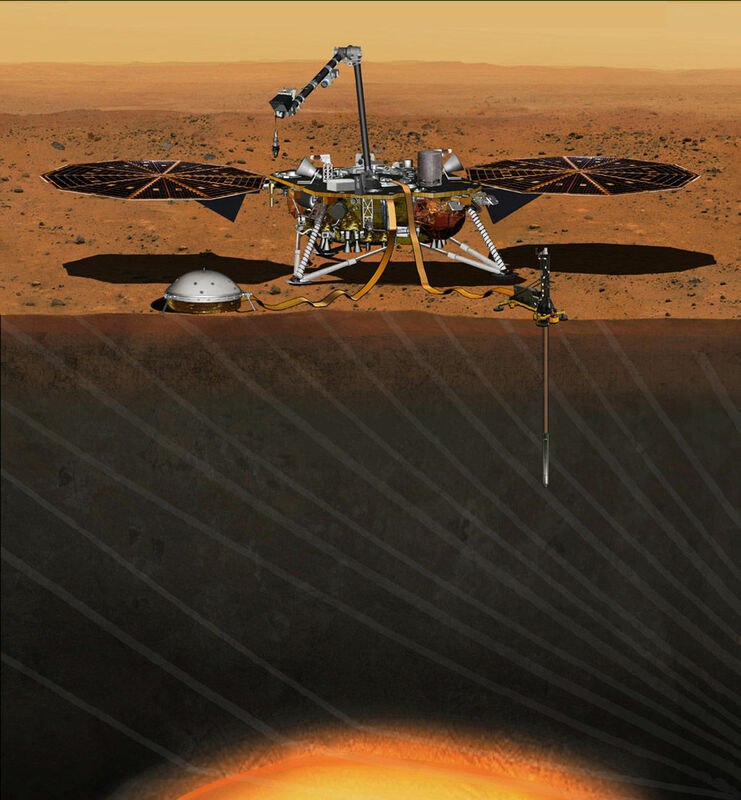 This artist's concept from August 2015 depicts NASA's InSight Mars lander fully deployed for studying the deep interior of the Red Planet. The lander is scheduled to launch in the spring of 2018. The launch of NASA's first asteroid-sampling mission is less than a week away and won't be affected by a nearby SpaceX rocket explosion that occurred yesterday (Sept. 1), space agency officials say. 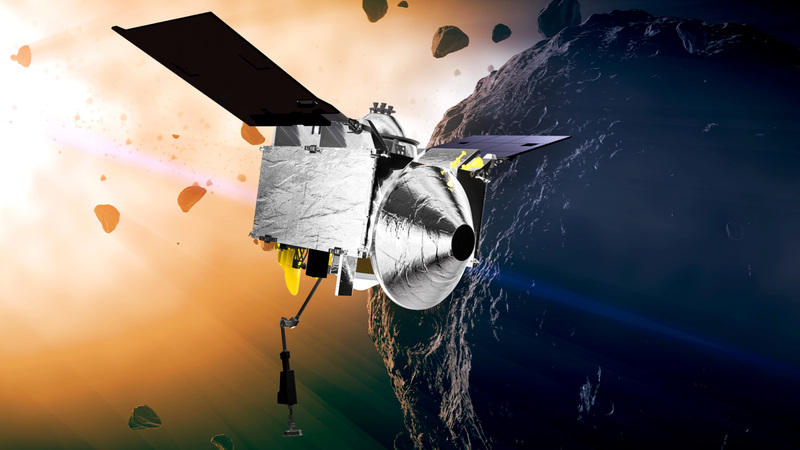 On Thursday, Sept. 8, NASA's OSIRIS-REx spacecraft is scheduled to launch from Florida's Cape Canaveral Air Force Station, kicking off a two-year journey to a near-Earth asteroid named Bennu. Lift off of the probe's Atlas V rocket is set for 7:05 p.m. EDT (2305 GMT) and remains on track despite the explosion of a SpaceX Falcon 9 rocket at a nearby launchpad yesterday. 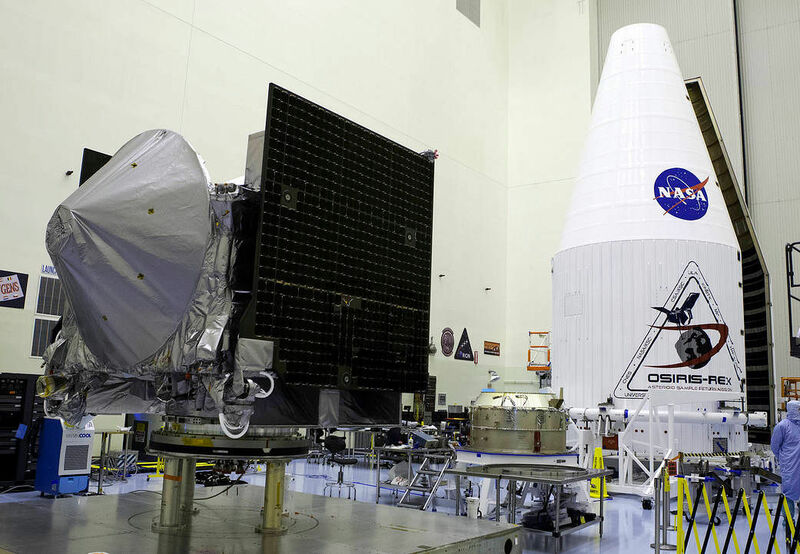 NASA's asteroid-sampling OSIRIS-REx spacecraft being prepared for encapsulation in its payload fairing inside the Payload Hazardous Servicing Facility at NASA's Kennedy Space Center in Florida. 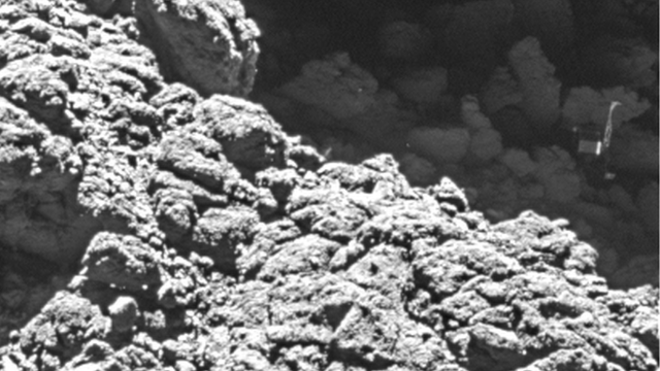 Philae: Lost comet lander is found! An artist's concept of the OSIRIS-REx spacecraft, which will launch toward asteroid Bennu tomorrow (Sept. 8). 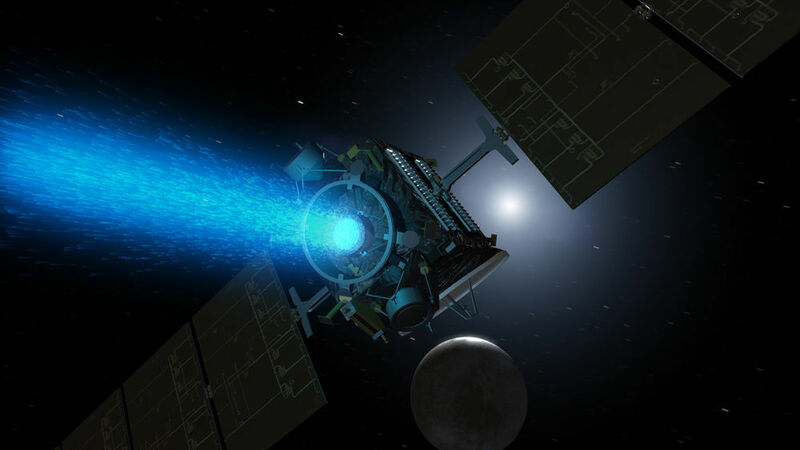 The Dawn spacecraft used futuristic ion engines to fly between the asteroid Vesta and the dwarf planet Ceres. Ion drives are one of many "Star Trek" technologies NASA is pursuing. 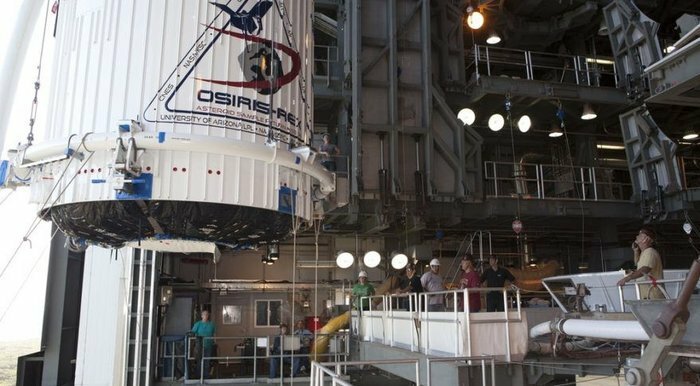 NASA's OSIRIS-REx mission will launch from Cape Canaveral Air Force Station in Florida on Thursday, Sept. 8, between 7:05 p.m. and 9:05 p.m. EDT. Live launch webcast coverage will begin at 4:30 p.m. EDT (2030 GMT). Not sure about ion engines. On a manned craft, massive ion engines will get you somewhere eventually if you can wait for them to speed up and then slow down again. I don't really think of them as in the era of star trek, even though they can reach fast speeds from our 2016 perspective. Something like an impulse drive from star trek, something that gets to speed quickly and can stop in the same time. How long until we discover/create something like that I wonder? Yes, we haven't really moved into the early stages of Star Trek stuff yet I think. The fact it does have popular influence is one I welcome and like. We will one day have like for like star trek tech both big and small, what comes and when though is much harder to say. An actual star trek tricorder might still be a decade or two away maybe, but hints show we are edging closer to it. Got to love the classic leather bound tricorder, as shown off here by the lovely Lt. Commander Jadzia Dax. There is a lot of tech we have seen in Star Trek's over the years. DS9 and Voyager had some of the best. Although some of the tech showing in 'Enterprise' (Jonathan Archer) was good, inc the jumping forward in time he does. Warp engines or anything near warp, who knows how many decades or centuries that might be. 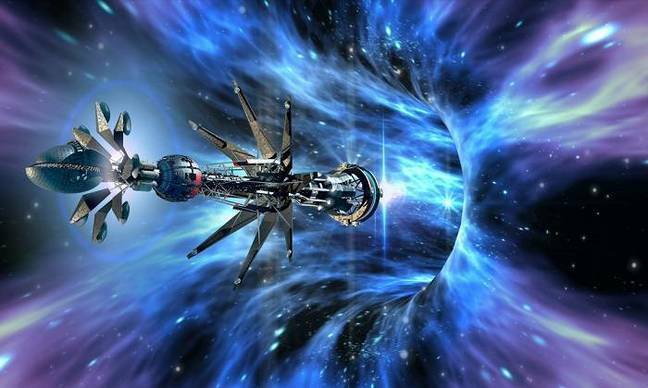 I'm guessing we would need to lick gravity plating first so large ships can be built and occupied in a safer way. So, how long is a piece of string! Won't be in any of our lifetimes. Unless we come across our very own Unobtanium, deep inside some near earth asteroid or comet. That would be cool to see that... but unlikely. But still cool! "Its seven year mission, to boldly go to the asteroid Bennu and back"
Did space rocks bring us life? Just 7 years and we'll know! 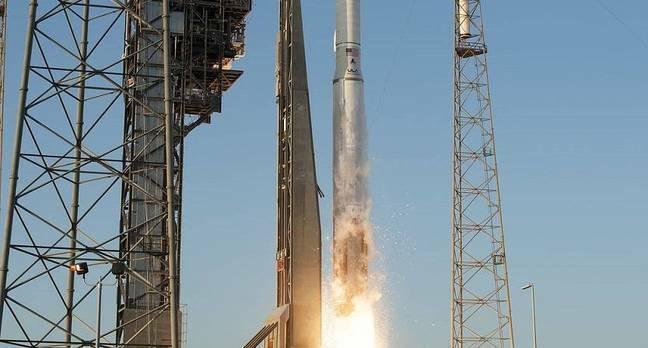 A United Launch Alliance Atlas V rocket lifting OSIREX-REx to space. Technicians at NASA’s Kennedy Space Center work to get the Orion crew capsule ready for an unmanned trip around the moon in 2018. Photo taken Sept. 8, 2016. 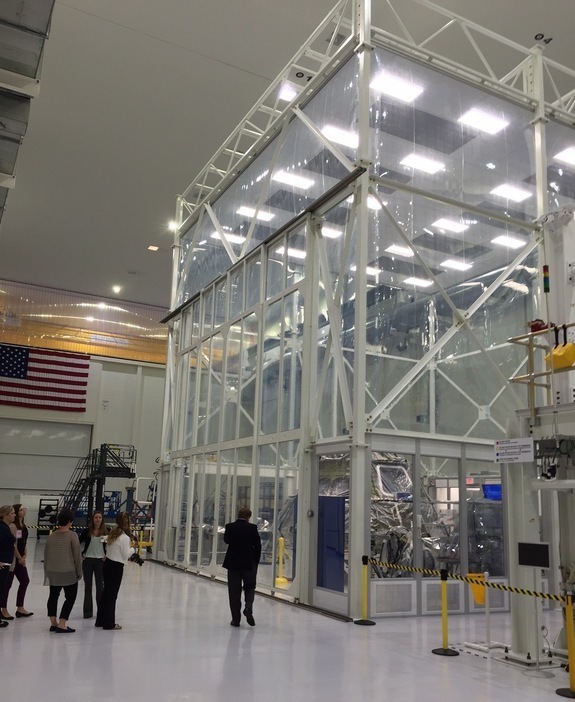 A view of the clean room at NASA’s Kennedy Space Center where the Orion capsule is being readied for a 2018 test flight around the moon. Photo taken Sept. 8, 2016. So let me get this straight. It was a WEATHER BALLOON, and not an ALIEN SPACESHIP that crashed into Roswell?!? Wrong. It was an alien weather balloon. It was actually a crashed experimental observation balloon disguised as a crashed alien ship disguised as a weather balloon. One of the best disinformation campaigns ever, some people still believe it was a crashed alien ship disguised as a weather balloon.